Why do we neglect our single biggest investment? by helenhelenhughespropertycomau.In Uncategorized.Leave a Comment on Why do we neglect our single biggest investment? For most Australians, our home is the biggest single investment we make. If we also own other properties, even more so. So why would you let the value of that investment be eroded by penny-pinching and parsimony, false economies and short-term thinking? In the companies in which you invest through shares, a proportion of the profits go back into the businesses to keep them competitive. So why don’t we apply that thinking to our property investments? Now, there are plenty of apartment blocks where the board members – or the strata committee, as they’re known in NSW and Victoria – have a plan in place to protect property values. 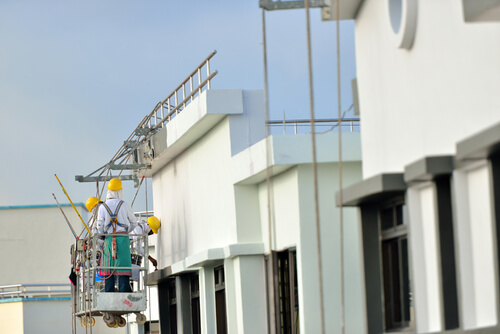 This will include such obvious issues as painting the outside of the building every seven to 10 years and maintaining and repairing the fabric of the building as issues arise (a statutory obligation that is frequently ignored). But there are other ways of persuading prospective buyers and renters to dig a little deeper into their pockets. The entrance lobby is often a neglected area because residents are usually just passing through. However, it’s the first thing that potential neighbours see when they arrive for an open home inspection. It’s your shop window so why wouldn’t you spend a few dollars making it look more attractive (and just a nicer space to come home to). Could the creaking stationary bike and ageing rowing machine in what you laughingly call “the gym” do with an upgrade? What about energy saving on lighting? That gets the double whammy of saving money and (climate change denialists look away!) feeling good about helping the planet. What about installing fibre to the premises NBN or free wi-fi? The obvious question is, if these ideas are so great, why don’t all buildings do it? And the answer usually comes back to your committee. Either they aren’t even thinking this way or any proposals to spend money on the building are being blocked. This is how it often works. You and 95 per cent of your neighbours are too busy to “waste” time with committee meetings and related emails when you get home. But who does have the time and skills to run an apartment block? Retirees and down-sizers, many of whom have just hopped off the work treadmill. Okay, but why wouldn’t they want to spend money on the building? It’s their home and investment too. Partly it’s because they are on fixed incomes and live in mortal fear of rising levies (or fees). But also they have no intention of selling any time soon, so pie-in-the-sky ideas about improving the value of their property cut no economic ice. What can you do? The simple answer is to get involved. Stand for election, preferably bumping a fee-phobic member off the committee. In other words, invest your time – even if just for a couple of years – and help get the business of your home on the right track. This column first appeared in the Australian Financial Review. Next Next post: Who is responsible for the water leaks from the unit above?